Dubai Ice Rink is tucked in one of the biggest shopping malls of the world that is the Dubai Mall in Down Town locality of Dubai. This magical leisure site is a winter wonderland that has proportions larger than an Olympic size rink, where locals and foreigners of different age groups come to take pleasure in skating on ice. 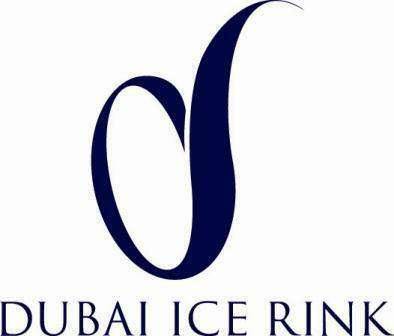 This excellent activity has made Dubai Ice Rink quite popular and now people also come here to socialise with their friends or colleagues or to make new friends, aside from enjoying ice skating. However, still people who want to learn ice skating, play ice hockey or want to improve their skating techniques come to Dubai Ice Rink in hefty numbers as compared to the ones, who come here to just meet people. So if you too like to set your spirit free, then head towards this sensational and coolest place in Dubai, where world class facilities are provided to the visitors to make their visit an unforgettable experience. This place is accessible on any time of the year, so those who like to have some fun or thrill can enjoy ice skating on this huge ice rink facility. As far as untrained or first timers are concerned, Dubai Ice Rink has also made coaching arrangements for them, so they could also take pleasure in skating or improve their techniques. In addition to this, ice hockey devotees can also play their favourite sport in this facility. Therefore, visitors can see lot of ice hockey fans in action at this place. Aside from skating and ice hockey fans, people of Dubai also come here to socialise with their relatives, friends or colleagues. Special packages for moms and toddlers are also offered at Dubai Ice Rink. Additionally, disco sessions, public sessions and mega skate sessions are also offered to the visitors. Schools are also encouraged to plan trips to Dubai Ice Rink, as special booking is available for them. Various events like ice hockey matches also take place at this venue. Plus broomball makes team spirit more fun, as in this activity participants do not need to wear skates. They just have to wear special straps over their shoes to play this game. Dubai Aquarium & Underwater Zoo, Burj Khalifa, Burj Khalifa Lake and Dubai Fountain. The usual opening hours of this ice skating facility between Sunday and Wednesday are from 10:00 am to 10:00 pm, whereas from Thursday to Saturday it remains open from 11:15 am to 12:00 midnight. Dubai Ice Rink accrued charges from visitors, who enter into this facility to use different facilities. The charges for skate hire and two hour session are 55 AED. As far as disco sessions on ice are concerned this facility charges 80 AED to visitors, who avail this activity. Burj Khalifa Metro Station is 1.5 kilometres journey from Dubai Ice Rink in the Dubai Mall. Pedestrians can cover this distance between these two sites in roughly 19 minutes. However, to do so they need to head in the southwest course after getting out of this metro station, then make a sharp left turn towards Emaar Blvd, after which pedestrians should make a slight right turn towards Emaar Blvd. This will bring them to a point from where they have to make a sharp left turn towards Emaar Blvd, so walkers could continue straight onto Emaar Blvd. 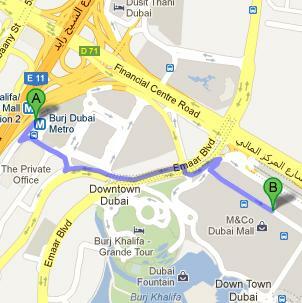 Then they will turn right before making a left turn at Emaar Blvd in order to make a right turn after that. The metro users will then turn slight left and afterwards make a left turn to finally get to the destination that will be on the right side. Bus users should take bus number F13 to land at the nearest bus station of Dubai Ice Rink that is Dubai Mall, LG Main Entrance 2 - The Dubai Mall, Dubai. This bus stop is just 100 meters away from the Dubai Mall where Dubai Ice Rink is tucked in. Bus users can cover this gap on foot in approximately 1 minute, if they head in the northwest direction from Dubai Mall, LG Main Entrance 2 - The Dubai Mall, Dubai bus stop. This track will lead the bus users to destination in no time. Checkout map for directions.